We have a babysitting service for children over 3 years old. Please book early to secure your space. Date: Thursday 14th February, from 7pm onward. Price per head: £30 (includes welcome drink). Babysitting: £ on request. Early booking essential. Booking essential. 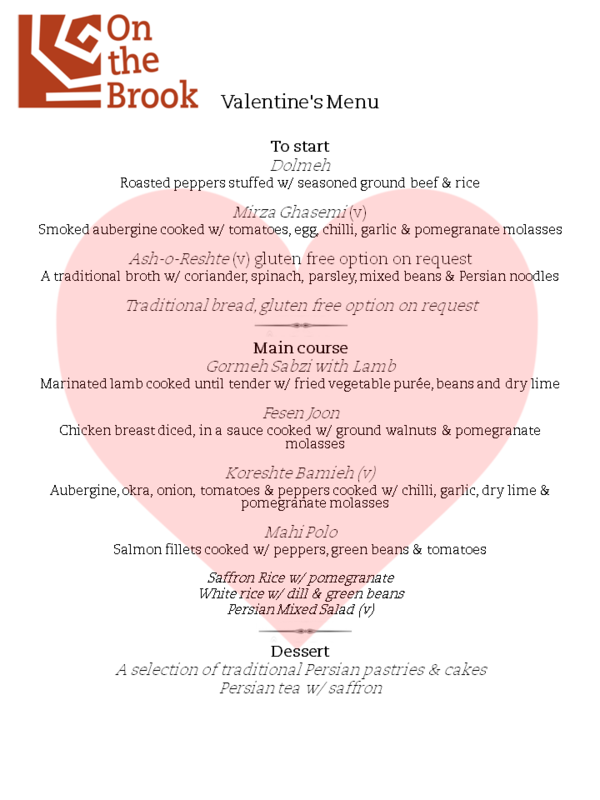 To book, please call 01749 813048 or email us at info@onthebrook.co.uk.